Disney Parks officially announced the 12 new members to the 2017 Disney Parks Moms Panel. 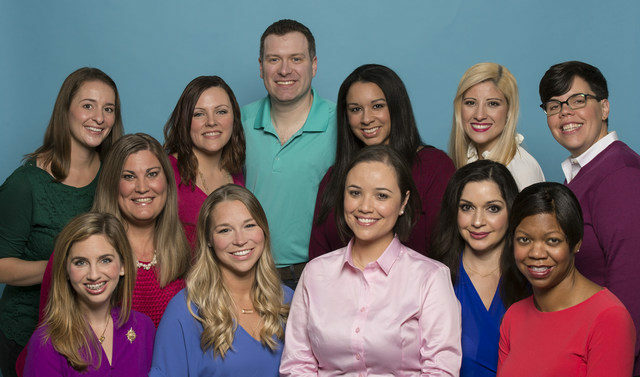 Selected from thousands of applicants, the 12 will join 19 returning panelists to be part of the tenth annual Panel of dedicated and diverse Disney-loving parents who help guests plan and get the most out of their next Disney vacation. This year’s Panel includes an impressive roster of trusted Disney advisors from all walks of life and experiences. With parents of twins and those with special needs children to single working moms, bilingual members and members of the LGBT community, the 2017 Panel is inclusive of every type of parent or guardian looking to plan a magical Disney getaway. Over the past decade, more than 150 moms, dads, and grandparents have served on the Disney Parks Moms Panel. Originating in 2008 as a simple question-and-answer forum with only 12 members focused on the Walt Disney World Resort, the Disney Parks Moms Panel has evolved into a global multilingual resource used by millions and backed by a passionate and varied group of frequent Disney travelers eager to share their expertise with like-minded families. These everyday moms and dads possess exemplary knowledge of not only the Walt Disney World Resort, but also other Disney vacation escapes and offerings, including the Disneyland Resort, Disney Vacation Club, Disney Cruise Line, runDisney and the ESPN Wide World of Sports Complex. As a planning tool, the Disney Parks Moms Panel is available in four languages; English, Spanish, French and Portuguese; and compatible with laptop computers and handheld touch screen devices alike. The award-winning digital resource is teeming with information to satisfy any Disney trip-planning need, offering personalized answers to more than 300,000 guest questions over the years. “The success of the Disney Parks Moms Panel is wholly measured by the satisfaction of our guests and their families, which is what makes the annual selection process so important for us,” said Leanne O’Regan, Director of Content Relations for Disney Parks. To learn more about the Disney Parks Moms Panel and meet the panelists, please visit http://disneyparksmomspanel.disney.go.com/. For those interested in applying for next year’s Panel, application details will be posted on the website in the fall of 2017.